Not everyone can have tresses like Rapunzel or Cinderella, but by following some simple hair care rules you can have hair that looks like it has been groomed and perfected by a salon professional. Over-washing can deprive hair of its natural oils and proteins. These are needed to keep both hair and scalp healthy. Therefore, it is best to limit hair wash to three times a week and that too with a micellar shampoo. A micellar shampoo works wonders because it cleans hair without drying it out, makes hair bouncier and suits all hair types – curly, straight, coarse and fine. Hair can become week and flaky at its roots due to a continuous pile up happening on the scalp – dead skin cells that linger on, oil from hair follicles and build-ups from products that have been used. To keep the scalp healthy, chemical peels and grittier scrubs can be used on a weekly basis. Chemical peels have alpha and beta hydroxy acids that speed up cell turnover on the scalp. Grittier scrubs on the other hand are good at removing product and oil build up. Air particles like polyaromatic hydrocarbons from cigarette smoke have a tendency to cling to hair. These particles stick to the sebum in the hair, and make hair strands brittle and dull. New anti-pollution hair masks made up of coal and charcoal are good at drawing impurities such as grime and oil from hair and making them bouncier and voluminous. Prolong blow-dry looks by making effective use of hair styling techniques. A fierce blowout done on Monday should last through Tuesday and on Wednesday a high pony tail will not only give a new style but will help prevent any damage. This doesn’t need too much effort and can be done easily at home. The trick is to flip your head upside down and shake your hair when you blow-dry. Once hair is 80% dry, blow-dry in sections at the back. Focus on smooth ends by brushing hair slowly and till the very end of the strands. To prevent damage from UV and heated tools such as hair dryers, straighteners and tongs, it is advisable to use a heat protector. This works in two ways. It conditions hair inside out and gives protection from straighteners and colour-zapping rays. To prevent split and fluffy ends, always hold the hair dryer at a distance from hair. Secondly, hair is susceptible to damage from sun exposure. UV rays in sunlight can cause breakage, tangled hair and faded color. Using a good sunscreen with UV hair filters provides protection. Make it a practice to always use a good conditioner. If your hair is thick, curly and textured, then deep condition it by applying heat. This can be done by covering the hair with a plastic cap and applying heat from a hair dryer. Deep conditioning helps by provides moisture and strength to hair. Master the technique to brush hair. Brush them twice a day – once in the morning and once before going to bed. This will make hair shiny, untangled and healthy. Hair is like skin and what is put on it affects it. Therefore, it pays to invest some money on buying high quality hair brushes and combs that can be used use while blow-drying hair, styling it, or primping it a little. 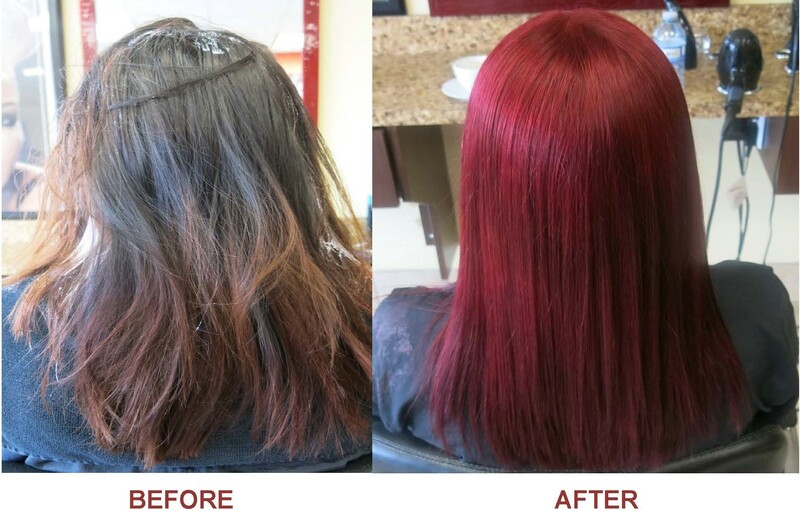 For more information about Best Hair Salon Sw Calgary and Hair Treatment Salon Marda Loop Please visit : Allure Hair Studio.